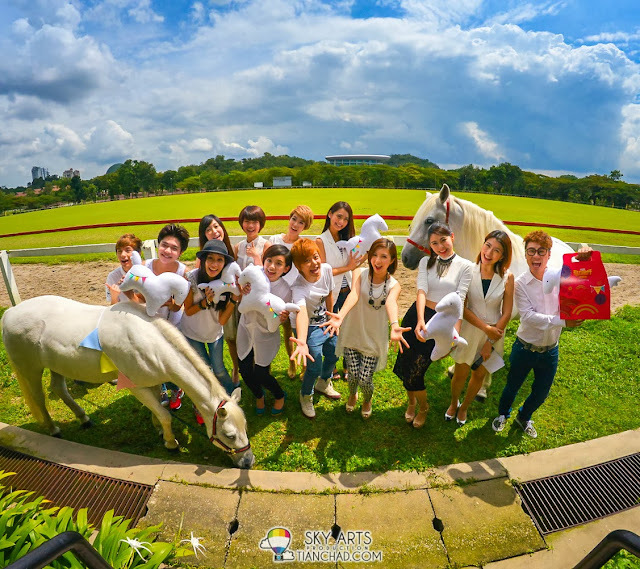 The greatest and star-studded Malaysia TV Awards Presentation, the TVB Star Awards Malaysia 2013 is going to hold at 8:00 p.m. on 1 December. TVB always endeavours to produce top-quality TV dramas and various programmes to global Chinese TV viewers. Its wide range of productions has been earning high recognition and popularity worldwide. This year, the TVB Star Awards Malaysia 2013, which is regarded as the prelude to the TV Awards Presentation of TVB, will be held at Star Stage@KWC at Kuala Lumpur. The awards presentation will be organised by TVB Entertainment News for the first time and Astro and MyFM as media partners. Believe that global audiences are waiting for this brilliant show! It was one of my dreams to be able to shoot for Alicia Keys concert in Malaysia. I tried to contact the organizer PR Worldwide but no one has responded. Therefore I thought I had missed the chance to see this talented woman to perform live and capture her precious moments. I guess good lucks and faith decided to bless on me as just a few hours before the concert, my friends have two extra tickets and invited us to Alicia Key's Concert Live in Malaysia. Of course I said YES and brought my lovely girlfriend and compact cam with me haha. The concert start later than 9.30PM instead of 8.30PM. Luckily we have numbered seats while waiting for the concert to start. Just now, while I was doing my work on my laptop, I heard my girlfriend who was blowing dry her hairs shouted"Baby, there is a grasshopper on my head! Help me! 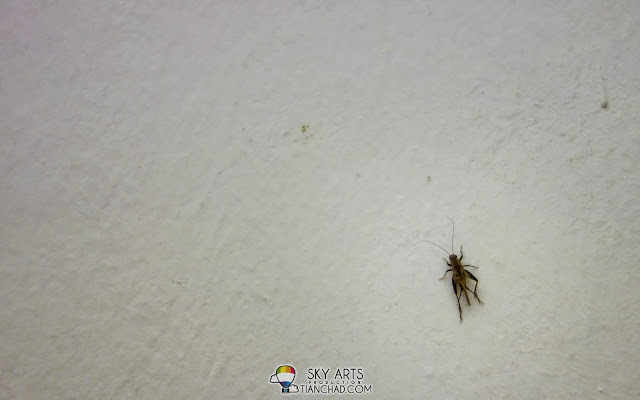 "So I thought... What so big deal as I thought it was this tiny little cricket that I saw just now (as picture below) who landed on her hair. So I went to her without my glasses and try to console her that the "grasshopper" has flew away. Furthermore, why the hell would a grasshopper come and visit us at night except cricket? She even hugged me, asked me to confirm that the "grasshopper" has been removed from her lion hair-style (cos blow dry half way hahaha). 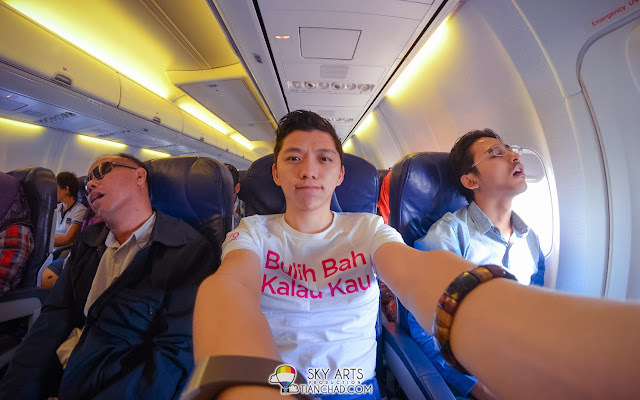 Last weekend I was sitting Malaysia Airline to Sabah. The aircon seems not functioning well since we were still waiting for other passengers before we took off. So people who were 'tied' to their seats decided to have a rest and I did a selfie as usual. PS: Remember to join my Coach Footwear and McDonalds Hello Kitty Fairy Tale giveaway yo!! 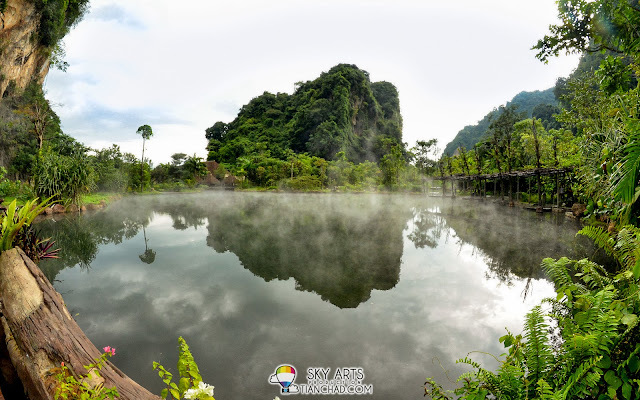 Finally I am going to share with you guys our 'honeymoon' experience at The Banjaran Hotsprings Retreat in Ipoh, which we visited for a 3 days 2 nights trip. Seriously, you gotta spend at least 2 nights here at The Banjaran Hotsprings Retreat as this place is so huge to explore the whole place (They have this Jeff cellar, Meditation Cave, Steam Cave, Dr Fish Pool, Spa and many more). 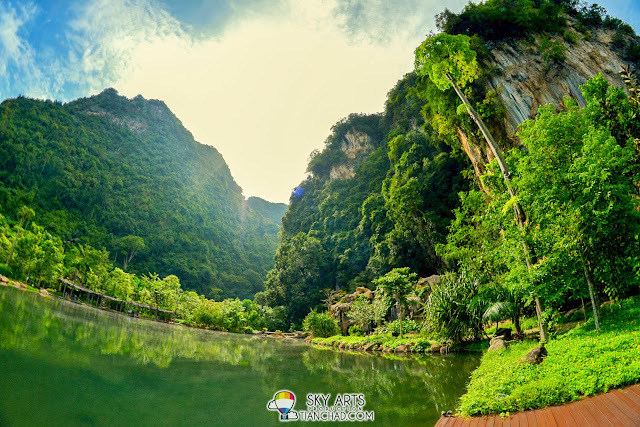 Since kids below 12 are not allowed to stay in this retreat, The Banjaran is definitely a good place for couple to enjoy their honeymoon quietly except accompanied by the nature sounds of birds and insects. I really love that feeling of spending time together with love one at a quiet place with good environment, including good spa & massage, food and accommodation. What the rakyat said about '12-years cap on life span on cars'? So, recently a proposal mentioned thatcars with lifespan over 12 years shouldn't be allow on the road as this will decrease the rate of accident on road by the faulty cars. According to 'Malaysian Insider', Transport Minister Datuk Seri Hishammuddin Hussein even mentioned that this won't burden owners with debt. Oh really?? First of all, I gotta say that thanks to my dad I am not in heavy debt with a car loan. I am now driving a car older than 12 years but it always in good condition with proper maintenance. Even PTPTN with just 3% of the silly "kos pentadbiran" already makes a lot rakyat in debt. I mean, how much do you actually need to pay to clear your PTPTN loan? A person with RM60k already need to pay a few hundreds just for that "Kos Pentadbiran"
[GIVEAWAY] WIN McDonald's Hello Kitty Fairy Tale 5-in-1 Collection! Courtesy of McDonalds Malaysia, a set of McDonald's Hello Kitty Fairy Tale 5-in-1 Collection will be given to ONE lucky reader of TianChad.com who love Hello Kitty!! How to win it? Simple!! Post by Tian Chad @ 永遇乐.